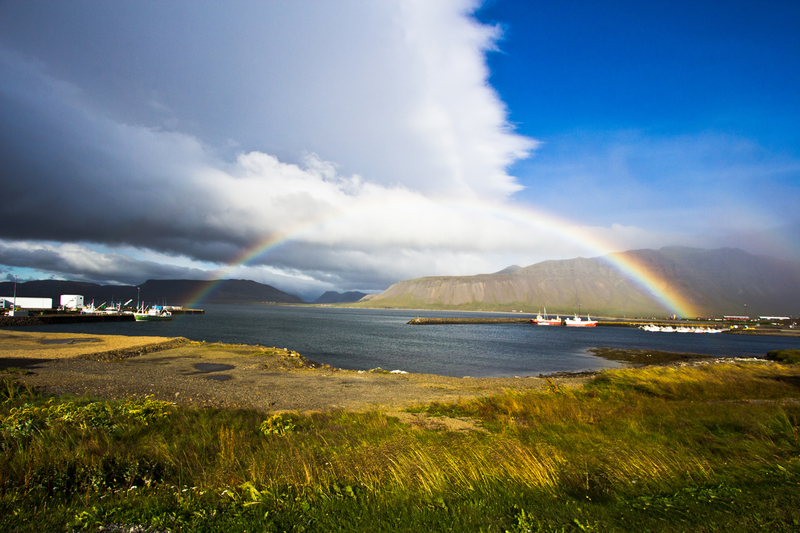 On our first day in Stykkisholmur we were chased by rainbows. I litterally mean that we were sick of seeing rainbows at some point. Not only were there a lot of them beasts, but they also popped up all the time and kept "following" us around. At some point you just grow sick, even of rainbows, butterflies and sunsets, right? Well, this here is the smallest rainbow I ever saw, I think. It must be so small because the sun is standing low on the horizon, right? It was rooted in the harbour on both sides - and this was such a small harbour!